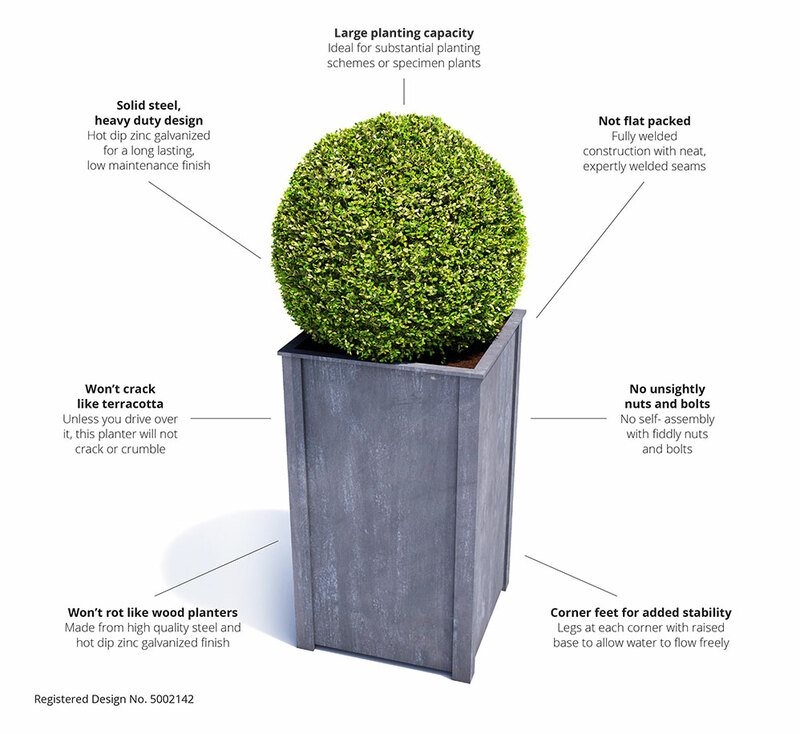 This tall steel planter is a large contemporary design. Fully welded and hot dip zinc galvanized for a rust-resistant finish. No self-assembly and stable on the four corner legs with a raised base with drainage holes. 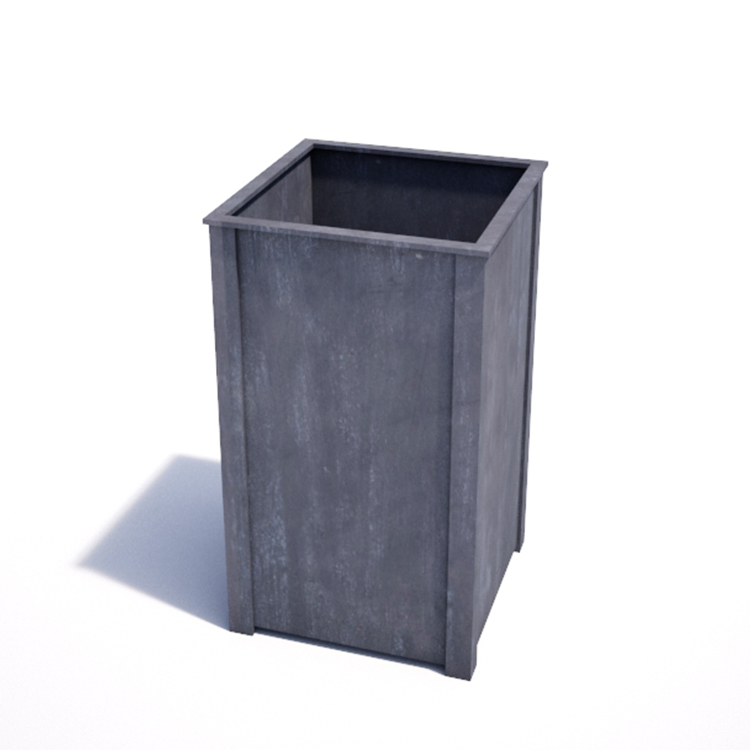 Bespoke planters available.